Hey there Lego fans! I've been a member for a long time but haven't posted in a couple years; just lurk around the forums every now and then. Well today I got back from college and went to a local Target to pick up some Christmas presents and wouldn't you know, most of the new sets were sitting right there on the shelf! I picked up the Republic Attack Shuttle as it looked interesting and included my favorite (non-light up) Jedi, Mace Windu. The set turned out to be a rather nice build. Like a lot of new sets, most of the shuttle is built around a Technic base that serves a duel purpose for the movable wings. The build went rather fast for me, however I've been an avid Lego fan for years and would give it an average build time rating compared to other sets. My favorite part of the set would have to be the bombs. Like I said, the set revolves around the Technic base and part of this is a bomb hold for 4 large bombs. Whats great about these bombs is that they are very secure; you have to turn a nob on either side of the shuttle to open each bomb bay giving the shuttle great swooshability. However, the top missile rack does move around a lot causing me to leave it off of my shuttle. Parts: 9/10 - Lots of Technic pieces plus a ton of Republic maroons, whites, and grays. Detail: 7/10 - No printed pieces or stickers and lack of a cargo bay interior leaves me wondering how this is a "shuttle". Price to parts: 9/10 - Decent size vehicle for the price. Availability: 6/10 - Should be in stores and online soon. OVERALL RATING: 7/10 - Good design, should be fun to play with. 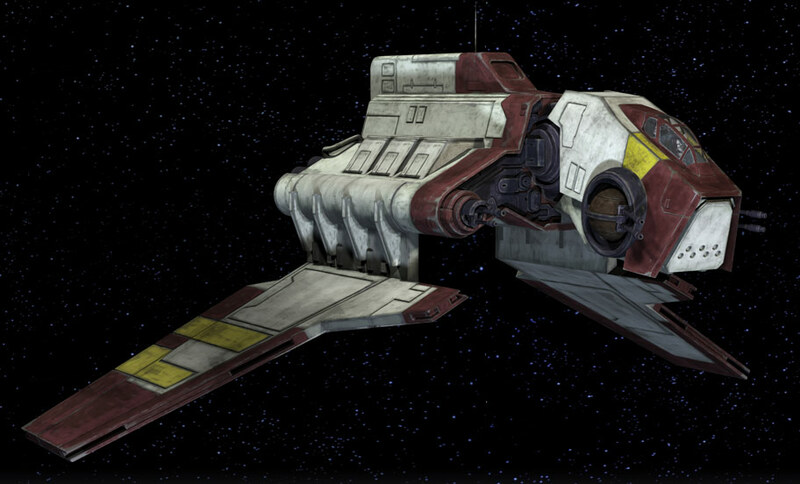 It is the earlier, Republic version of the Imp. Shuttle, so that's assumedly intended. This set looks OK, but the varying colours really annoy me. And nice to at last see a review that has pictures. The main problem I have with this set is the terrible colour scheme. If it was just grey and dark red, or white and dark red, then it would look good. But no, they had to ruin it with annoying yellow everywhere. Though at the same time, part of me wants it for the rest of the set. Now I can finally make a Mustafar scene with the Theta shuttle! The shuttle in there was gray..
Yeah, I was kidding a little, but I could customize it. I'm definitely going to modify the interior. I'll probably pick this sucker up. The more I look at this set, the more I like it and the less annoying the color scheme looks to me. I think the yellow would match more with white than with grey, so maybe that's why the colors look so strange. But I'm mostly interested in this ship for looks because I think it looks pretty neat. I think they sorta look alike, which would be good for an idea I'm throwing around. Does the flick fire mechanism wok for anyone? I'll try adding oil and heat after I buy the set. I'll get back to you.